We don’t know much about life in this spot during the Pre-Columbian period, but the area that is today Nicaragua’s Caribbean coast was inhabited by small groups of indigenous peoples who probably spoke languages related to the Mayangna language and the Paya language. Columbus visited the area during his fourth voyage to the Americas in the early 1500s. His mission was to explore areas to the west of the Caribbean Sea and hopefully find a passage to the Orient. 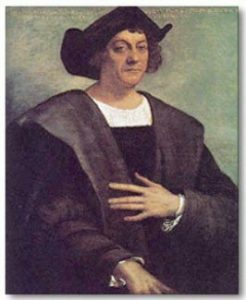 After exploring parts of southern Central America, termites and a hurricane destroyed his ships, and Columbus and his men got stranded on Jamaica. Spanish descriptions of the area from the late 1500s and early 1600s says that the region (what is now Nicaragua’s eastern coast) was divided between the Taguzgalpa province and the Tologalpa province. According to historian Karl Offen, the regional geography at this time included roughly half of dozen societies occupying the region’s river basins, speaking distinct dialects of the same language. This port city was created by English and Dutch pirates and privateers in the 1500s and 1600s. The Escondido River was a great place for them to rest, repair their ships and obtain food before embarking on a new journey. At this point in history, the indigenous towns Kukra and Branch were located were Bluefields is today. In the early 1600s, a society that the English called Mosquito Kingdom was present on the coast. In the late 1630s, the Mosquito king visited England and sealed an alliance with Great Britain. The Spanish made several failed attempts at conquering the Mosquito Kingdom, and their aggression served to strengthen the bond between the indigenous population and anti-Spanish Europeans, such as the English and the Dutch. The name Bluefields is derived from the name of the Dutch explorer, pirate an privateer Abraham Blauvelt who used this river mouth location as a center for his operations in the 17th century. Blauvelt originally worked for the Dutch West India Company, exploring what is today the Caribbean coast of Honduras and Nicaragua. In the mid-1600s, a ship transporting slaves from Africa was wrecked here. Some of the slaves survived and integrated with the local indigenous people; intermarrying and having mixed-race children. The Miskito Sambu trace their lineage from this. In 1678, Bluefields became the capital of the English Mosquito Coast protectorate. In 1744, British colonists were transferred to the Mosquito Coast from Jamaica, and they brought their black slaves with them. French colonists also arrived around the same time. The Mosquito Coast stopped being a British Protectorate in 1796, when Great Britain officially recognized Spain’s claim to the region. 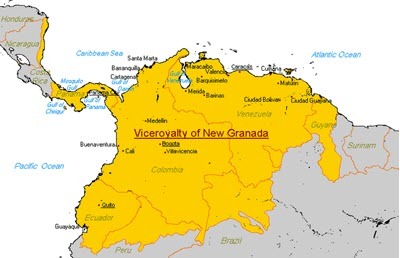 As the Viceroyalty of New Granada declared independence from Spain, the Mosquito Coast – including Bluefields – became a part of the newly formed Gran Colombia. Gran Colombia was dissolved in 1831 and the Mosquitoes Coast followed along with the various – increasingly small – republics that formed in this part of Central America. The Spanish-speaking rulers had little actual control over the Mosquito Coast however. The Moravian Church, which would come to have a large influence in Bluefields, was installed here in the 1840s. The Moravian Church is a protestant church, unlike the Roman-Catholic church who dominated much of the rest of Central America. In 1860, the Miskito Reserve was created by an arrangement between the British and U.S. Governments, without any input from the Nicaraguan government. Once again, the British crown put the region under its protection, and they declared the city of Bluefields as capital of the reserve. Bluefields became an important hub for the export of wood and bananas from the enclave economy set up by British and U.S. interests. By the 1880s, Bluefields is described as a cosmopolitan city with high-paced commercial activity. The region remained an autonomous area until 1894 when it was formally annexed by Nicaragua. Nicaragua abolished the Miskito monarchy and declared the area a department of Nicaragua: the Zelaya Department. In 1903, Bluefields was proclaimed capital of this department. Marine soldiers from the United States have been stationed in Bluefields twice; first in 1912-1915 and then again in 1926-1933. In 1984, during the Nicaraguan Revolution against President Somoza, U.S. forces put mines in the harbor. Today, the names have been changed, with RAAN becoming Región Autónoma de la Costa Caribe Norte (RACCN) and RAAS becoming Región Autónoma de la Costa Caribe Sur (RACCS). Bluefields is located in RACCS and is the capital of RACCS. Hurricane Joan caused widespread destrucion in Bluefields in 1988. In recent year, the smuggling of cocaine from South America to the United States have had an impact on Bluefields and the surrounding area. When smuggler ships on their way north are scared by the presence of United States Coast Guard patrol ships in these waters, they throw their contraband cargo over board. This serves both to eliminate evidence and to make the boats lighter and more suitable for making a quick escape. Because of prevailing ocean currents and the shape of the coastline, it is quite common for such abandoned cargo to end up in the lagoon around Bluefields. Cocaine packages found by locals are sold on – providing an income for the locals but also contributing to social problems, especially if the drugs are consumed locally or when violence erupts over the precious contraband.